11 Jan, 2018 by	Margaret M.
Comedian Tim Allen is starting to perk up at the idea of a revival of his successful series now that Roseanne Barr has been welcomed back on the air. 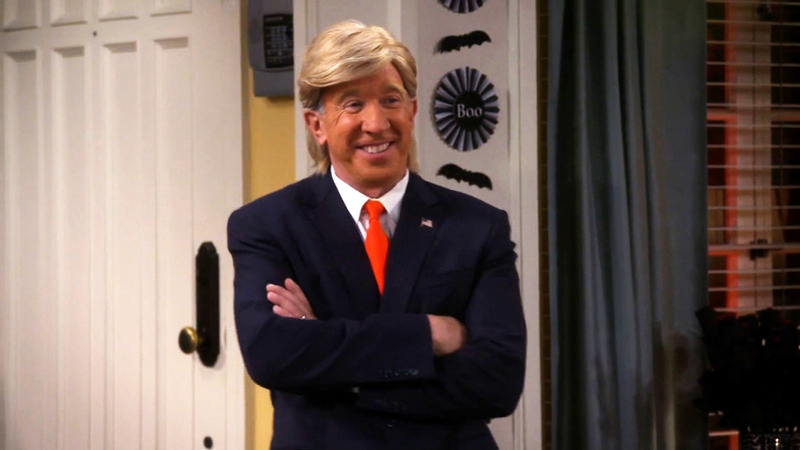 Allen, 61, is a conservative Christian whose show Last Man Standing was doing great in the ratings but was mysteriously cancelled on short notice. The ABC sitcom, which premiered in 2011 and ran until March 2017, included many conservative-friendly characters. Allen’s character is a director of marketing at a sporting goods sport, and his wife, played by Nancy Travis is a geologist who worked in the fracking field. And now that right-wing friendly Roseanne Barr’s eponymous show will be experiencing a revival on ABC, Allen has come out to comment on the support he’s received from fans who see the Roseanne return as an overture to possibly getting Last Man Standing back on the air. With seven more years of Trump to look forward to, can’t say I’d blame ABC for wanting to appease the conservative audience that they didn’t seem to know they had. Like Archie Bunker, most lefties will assume that people just want to laugh at the conservative. They never suspected that people would identify with him. As for Roseanne, she commented earlier this week that after 20 years off the air the show will be back and that both her character, along with John Goodman playing her husband, will be Trump supporters. There will still be liberals in the family, but it’s amazing to hear confirmation that a sitcom with Trump supporters who won’t be portrayed as bumbling, racist idiots will be back on the air. Allen is best known for his work as Tim “The Tool Man” Taylor from Tool Time and also starred in children’s entertainment such as The Santa Clause movies and as the voice of Buzz Lightyear in Toy Story.